Conferences and events are big investments for the year 2015. With increased popularity for these events, the demand for custom built and professional looking websites has risen as well. Providing users the ability to customize websites via themes and plug-in, WordPress, a free blogging and content management system, has become the number one choice with website designers and bloggers. The majority of well-established companies organize conferences in a bid to attract new users or simply to promote their new offerings. And so, making a career as a professional event planner and/or organizer can help you get good profit. Of course for this, you first need to set-up an online presence as well as, you need to reach out to wide number of people to search for event organizers. So, this is where you should start working with WordPress Conference Themes. Mondree is designed for handling cutting edge conferences tool that offers an astonishingly full-highlighted, lightweight and adaptable features to professionals. This software is very simple to utilize and magnificently adjustable, versatile and professionally outlined to work with the team members. Mondree comes with secure, dependable, alterable and connected features that are highly responsive. Mondree WordPress Conference Theme is highly innovative and intensely flexible to use, precisely built and meticulously created as a comprehensive site creation toolbox that are dedicated to the undertaking of enabling website controls from anywhere easily. 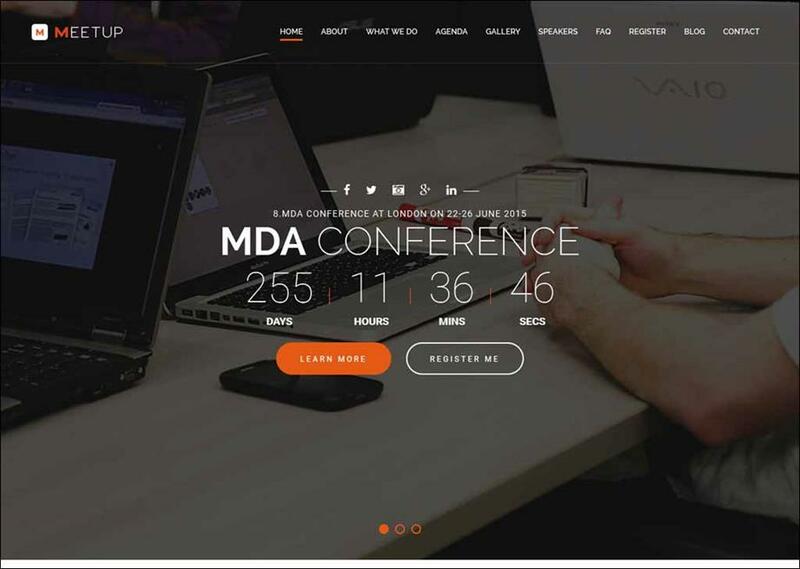 Mondree is remarkably a proficient WordPress Conference Theme and offers extremely appealing designs that graphically conceals the meeting of people, making it an immaculate theme for taking care of expert occasions, meetings and other professional tasks. Mondree incorporates both good looking demo sites for you to rapidly import projects and hit the street by professionally outlining the formats and page layouts of the projects. The outline and format of the Khore theme is diverse to your commonplace topic in this classification. 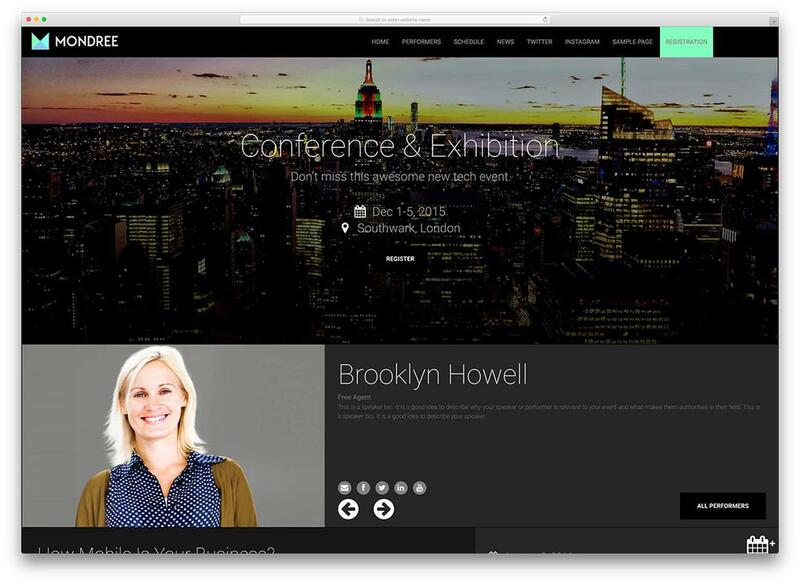 So, on the off chance that you need your website to be a champion in an ocean of competitors, Khore could be exactly the type of WordPress Conference theme that you are looking for. Because of its settled sidebar menu and the way each new segment of the site loads, you ought to have the capacity to keep the consideration of your guests, until they’ve found all the data they require. While you are getting ready for meeting gear ups, you get full control over whatever content is shown on your site. With Khore you can undoubtedly distribute data about various opportunities, including tasks like setting up timetable, area booking, ticketing alternatives, and many other such tasks. On an account of the sponsorships for full width recordings, you can utilize a scope of media organizations to truly advance your meetings successfully. The outline and design of the Khore theme is completely responsive, and accordingly, your portable crowd can without much of a stretch can easily look at their points of interest before and amid the meeting on their cell phone and tablet gadgets. Whether you need to oversee and offer the meeting tickets yourself or experience an outsider, Khore incorporates reconciliation support for all the best ticketing choices. Setting up your site is like a big deal. Khore has an alluring configuration process that is taken into consideration with every one of the components and useful features at the time of designing a right kind of site to advance your meeting channels. Vertoh is an expert meeting oriented WordPress Conference Theme that is used to conduct wide range of meeting with a dazzling presentation plan to withstand with the cutting edge meeting highlights. The platform highlights a decent foundation picture header while conducting official meetings and various other professional conferences. Further down the page, you can show all the vital data about your organizational products, various included organizational sessions, highlighted mentors as well as invitations to move ahead with specific type of action, enlistment process, maps, news and many other vital tasks as well as data can be handled by Vertoh WordPress Conference Themes. You can add and remove meetings areas as well as presentation styles accordingly. A portion of key components include: speaker administration that includes a huge list of your insights about entertainers, exhibitors administration process such as broad profiles with key data information about managements that individuals can access and investigate in a perfect outline with propelled plans that involves key data indications such as Location, Time, Track and Performers, commencement clocks, social networking sites such as Twitter, Facebook and Instagram. Tyler is a fresh WordPress conference theme where designers possess expertise in WordPress conference theme improvement topics and that can comprehend what they are doing with regards to occasions and meetings. Tyler theme is well planned that utilizes the most recent level outline rule to make it spotless and highly appealing to the viewers. This theme comprises of all that you would anticipate from occasion topic, for example: planning, working with speaker profiles, maps, enlistment structure, payment frameworks and considerably many more are there to acquire. Tyler subject will take your meeting administration procedure to another level. Fudge is designed in such a way that can actualize a cutting edge technology, making it perfect for every professional who is working with it. Fudge WordPress Conference Theme is designed for those who wishes to discover more about their professional tasks, and in addition, for individuals who are as of now enrolled, ought to be suitably inspired by what is on offer and anticipating them at the occasion, by giving them to pick up the right picture. This WordPress conference theme shows numerous number of essential data that are needed to handle all professional tasks online, and can well incorporate various advanced features such as area selection, time management and scheduling of meeting; alongside a solid suggestion to take action for those professionals, who are yet to sign-up for Fudge WordPress Conference Theme, to buy a ticket, and to book their place. Another valuable feature of this WordPress theme is its capacity to make profiles for each of the clients that might be needed in future. This offers a simple approach to access more data and produce enthusiasm for the occasion as well as for diverse sessions that will be running later. On the off chance that you need a subject that permits you to make a site, a custom-made feature with thousands of capacity for guests to enroll their participation, then Fudge is definitely a fabulous decision for you. Januas WordPress conference theme is known for its driving functionalities that offer various professional conference set-up features. It has full reconciliation with Eventbrite, so you can simply drop an Eventbrite ticket gadget code in the dashboard to effortlessly oversee enrollment list. Learn more about the ease of event management with Eventbrite here. Meetup gives you a decent choice of pre-built landing page designs and page layouts to look over when setting up your site. Contingent upon, how you manufacture your site, you have the choice of showing an extensive full picture of video foundation on your landing page, a commencement clock to your next occasion, or a couple of other designing choices. Once your guests move into your website, they can then discover more about the meetings, see the meeting plans, investigate an evaluation process and ticketing alternatives. To associate with your meetings and advance your conference matters, Meetup incorporates numerous of online networking joining techniques. This permits you to advance your meetings via various sources such as Twitter and Facebook, and additionally displays content from your records on your WordPress site. With Meetup, you likewise access the Visual Composer page developer module. 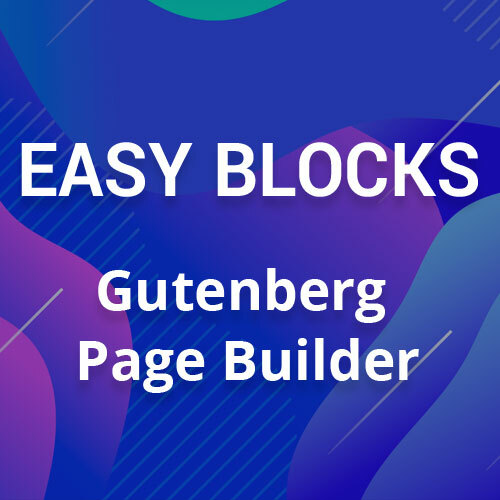 This theme accompanies more than 30 content modules by covering extensive variety of meeting purposes, all of which can be added to your page formats without breaking a sweat. Meetup incorporates a lot of pre-built formats and predefined settings, that permit you to rapidly set-up your meetings and give it an appropriate searching process for your working management schedules. Organizing a conference is almost like dealing with huge amount of issue for any professional when it is related to organizational work. So, in order to boost your online presence, it is necessary to access more advantageous WordPress conference tools by spending a few more bucks for designing a proper professional theme. In few cases, spending a USD dollar is almost a better option to deal than plucking and twisting around a website in search of huge number of work than resources that are available to you. This Case Study is a guest post written by Kaira Clark a Web developer at Xicom Technologies Ltd. In this event grade IT space you need to look App Developers for Hire that not only are highly skilled but also stay abreast to the latest advancement.